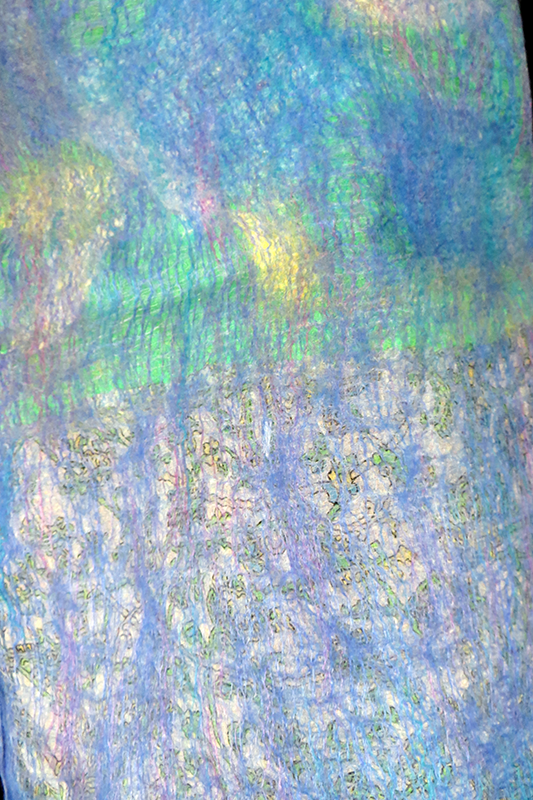 SKU: PERSIAN-BG. 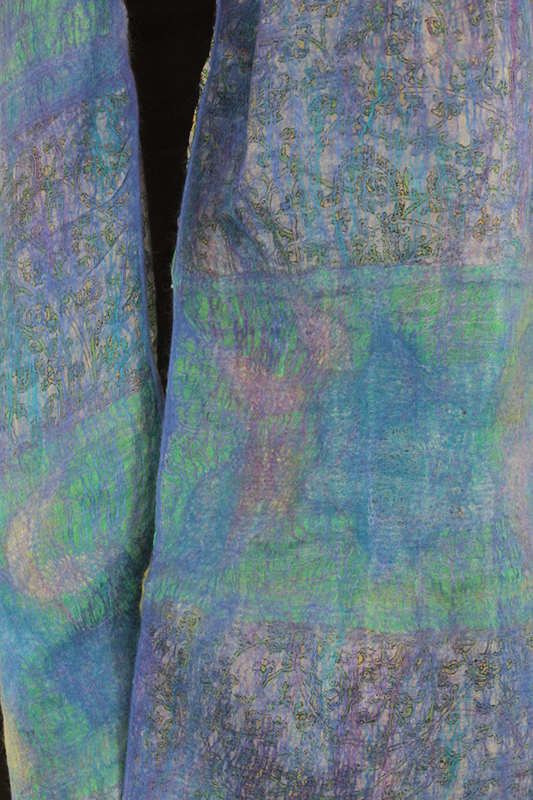 Categories: Available Gallery, Scarves. 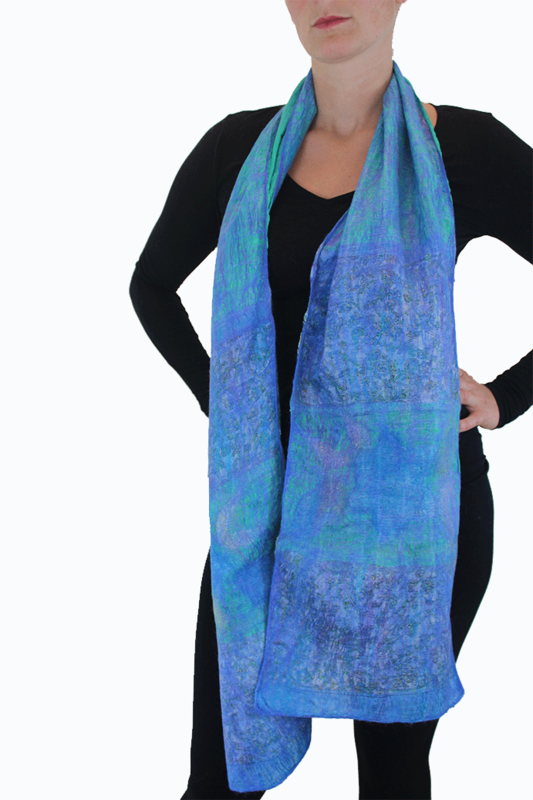 The scarf is super silky and luxurious on your neck! 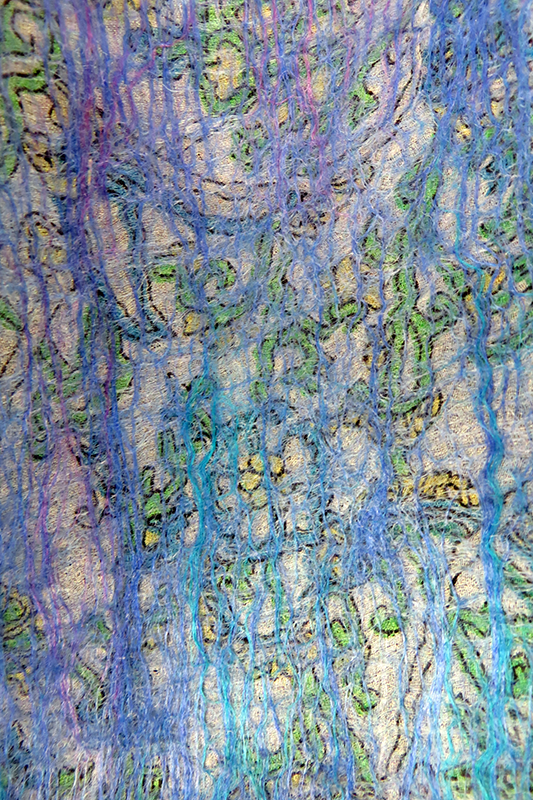 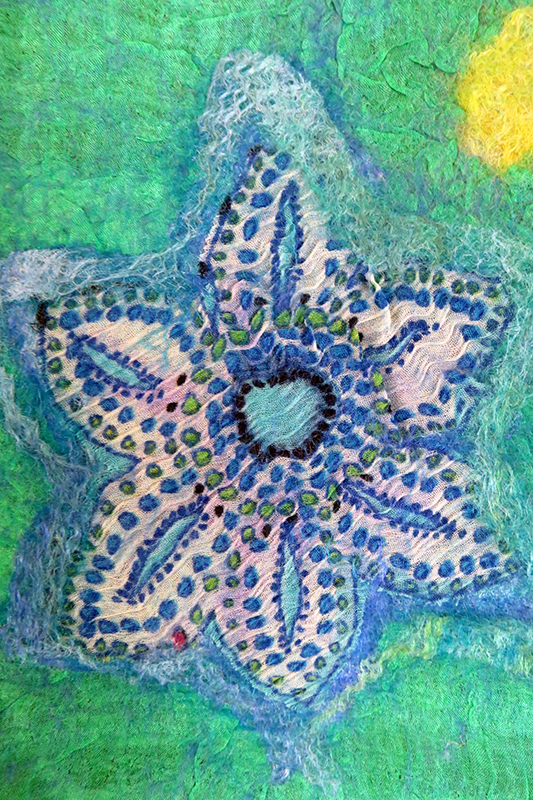 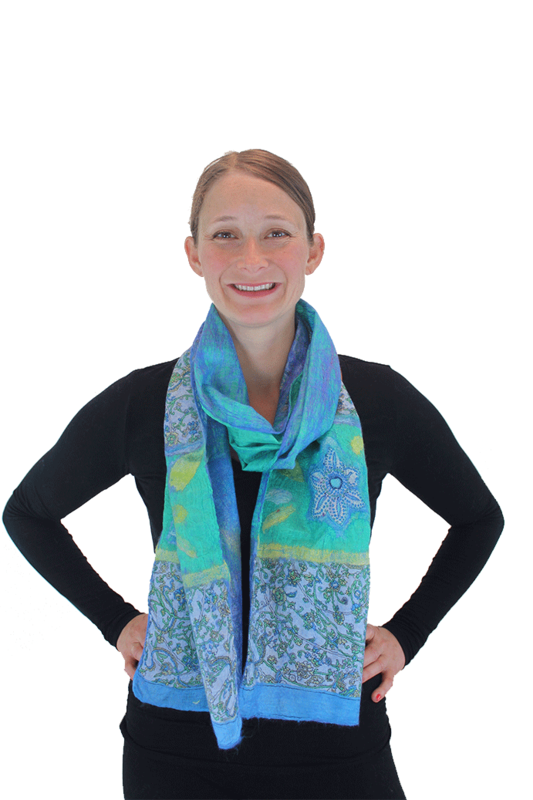 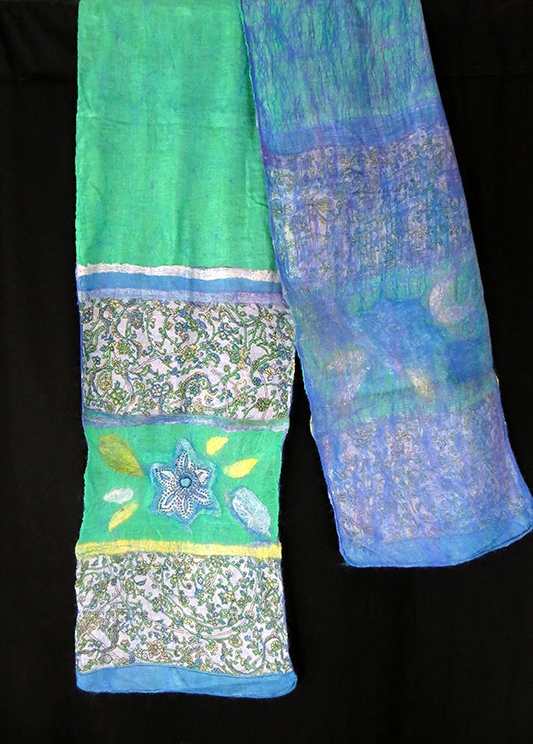 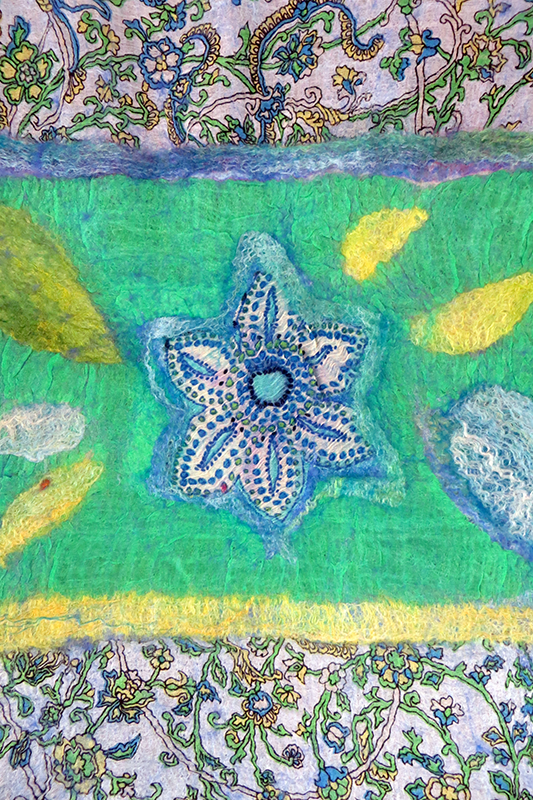 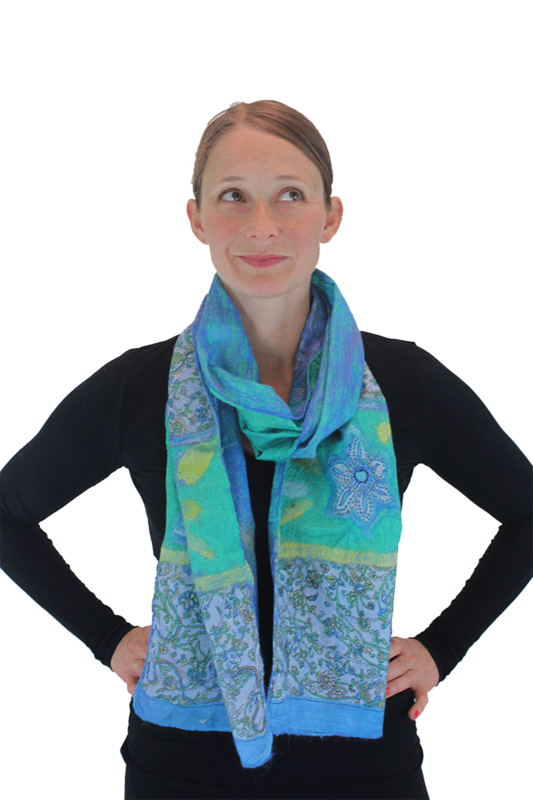 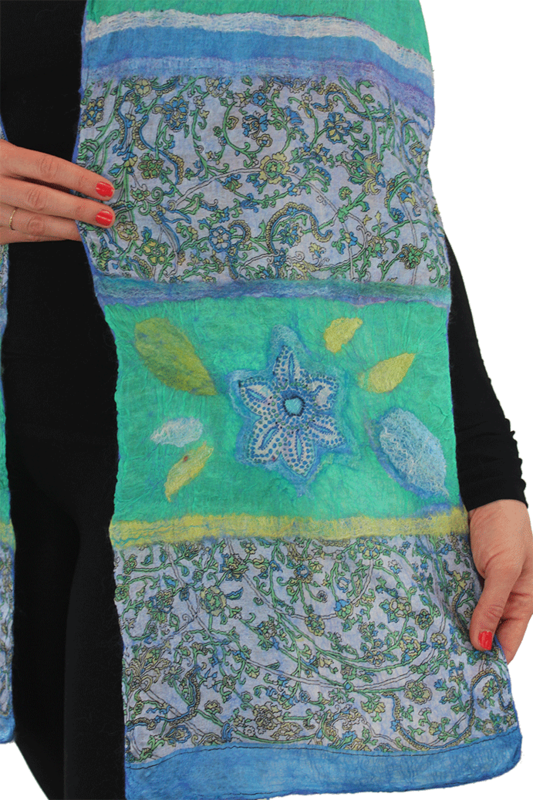 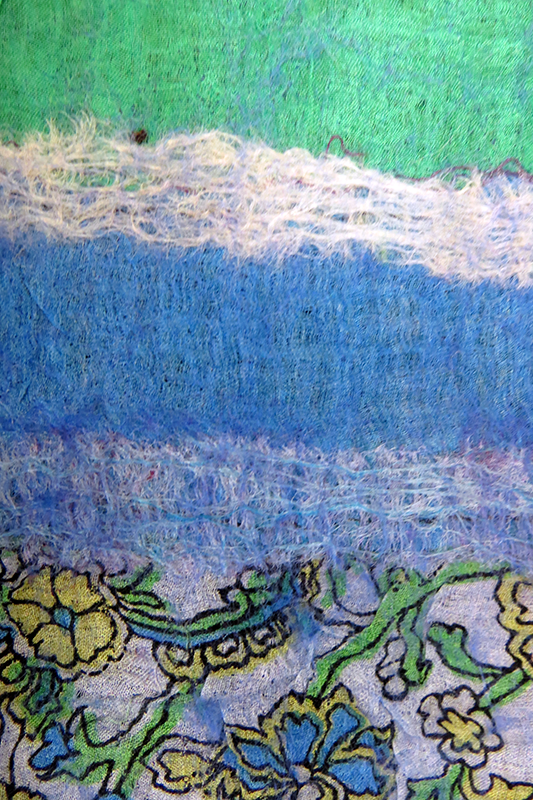 A scarf in greens, violets, and periwinkle blues, that can be worn year-round. 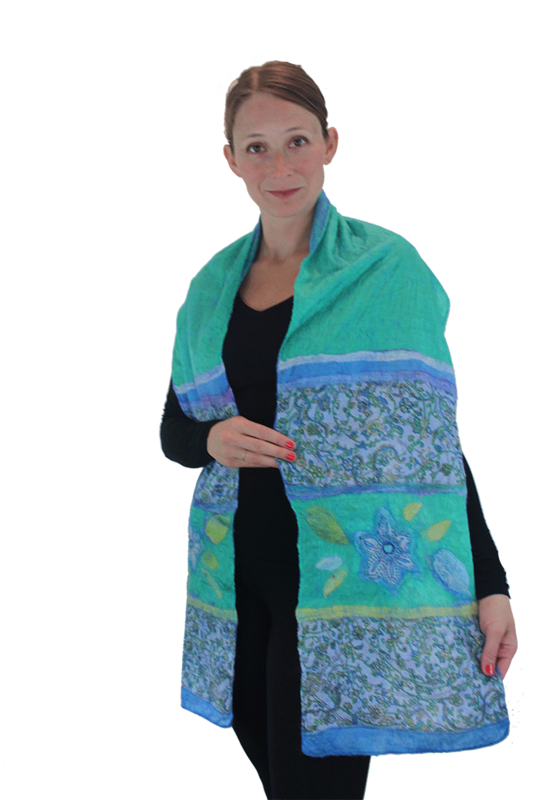 The floral pattern with a Persian printed fabric is accented with a lyrical Monet waterlily-like backside.